Discover the beauty of meditation! The Stages of the Path (Lamrim in Tibetan) is a beautiful sequence of meditations which dovetail with each other perfectly, presenting a practical and inspiring guide to contemplation and meditation. Geared toward application in daily life, Lamrim skillfully presents a cycle of various subjects which altogether encapsulate the essence of Buddhism. The teachings and meditations are clearly explained and are therefore easy to understand and practice, enabling us to bring greater depth to our spiritual journey and bring practical benefit to our daily life. This retreat will be based on the book How to Understand the Mind, that presents the Lamrim in 14 meditations. 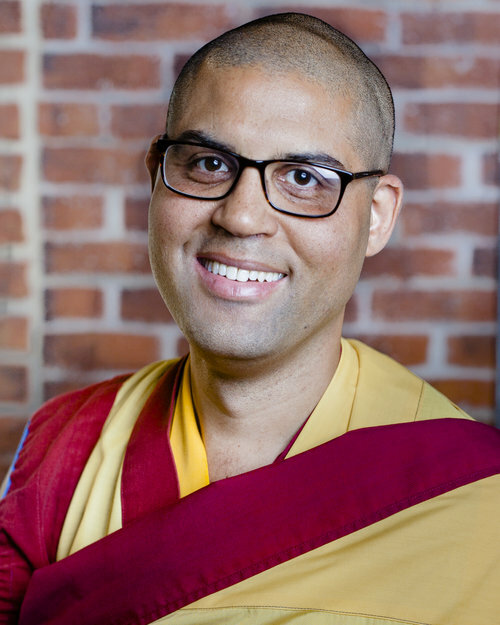 Gen Menla will guide this retreat in an accessible and practical manner showing how Kadampa Buddhism is perfectly suited to modern day life. Join us to learn about your potential for lasting peace and happiness and how to go about achieving that for yourself and those around you! Note: Everyone is welcome to attend some or all of the retreat. Feel free to drop-in to any session. This retreat includes guided meditations and teachings. Refreshments are provided during the break. Parking not validated on Saturday's. Sunday between 11.00am-12.30pm only.